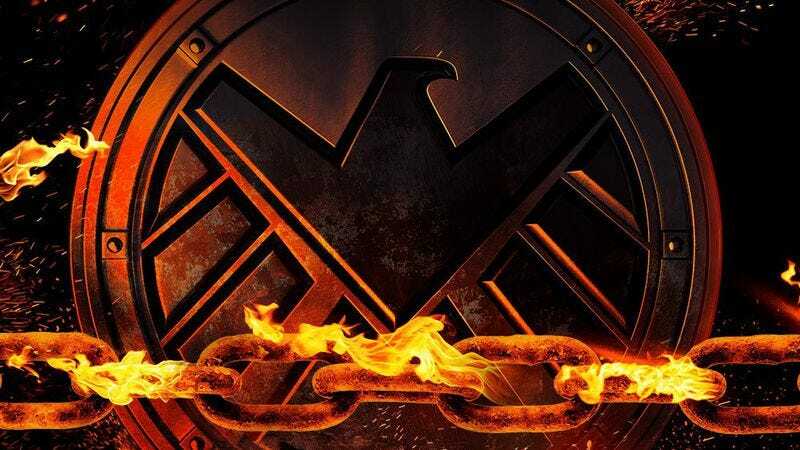 Ghost Rider is officially coming to Agents Of S.H.I.E.L.D. It’s probably asking too much to hope that Nicolas Cage and his insane hairpieces will return to the part, but Ghost Rider is officially coming to Marvel’s Agents Of S.H.I.E.L.D. next season. That hot bit of news was revealed during the show’s panel at Comic-Con earlier today, where star Clark Gregg kept teasing a “big reveal” at the end of the presentation. As promised, at the end of the panel the Agents Of S.H.I.E.L.D. logo appeared onscreen, only to burn away to reveal the flaming skull that represents Ghost Rider and the slogan “vengeance is coming.” That’s the extent of what was revealed—we don‘t even know which version of the character it will be yet—but, as comics fans know very well, debating these things is half the fun.